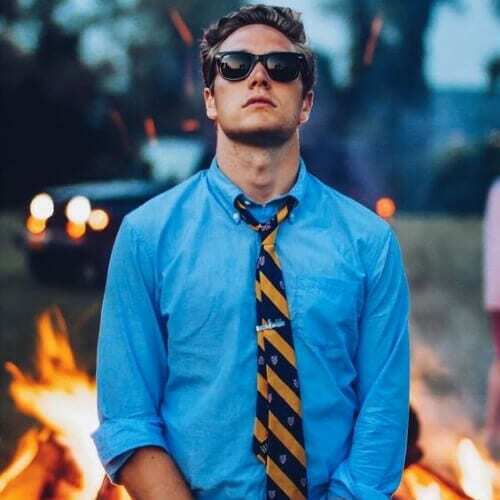 Even though we now share one, general stereotype about what a frat boy should look like, there are actually a lot of different styles that divide them. 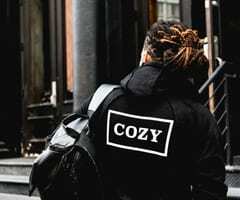 College boys differ based on their background, the part of the country they are in and the fraternity they have joined. But one thing is certain. A massive part of their appeal lies in the frat haircuts they all share. 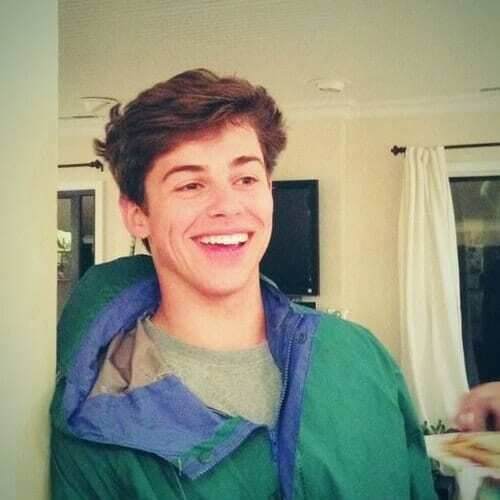 Here are 35 hunky frat haircuts to fall in love with. Here is the classic frat haircut as it is depicted in most movies and TV series. 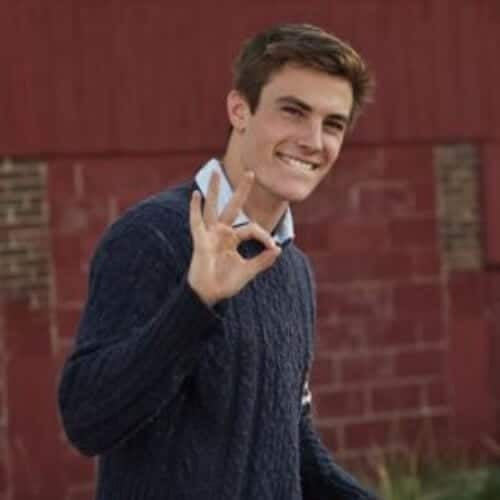 This hairstyle has helped forward the stereotype of the frat boy who is supposed to be somewhat of a jock with a medium haircut and sports clothing representing his university or fraternity. We also have a few celebrities on our list, such as singer Harry Styles who went through a frat boy stage when he was younger. 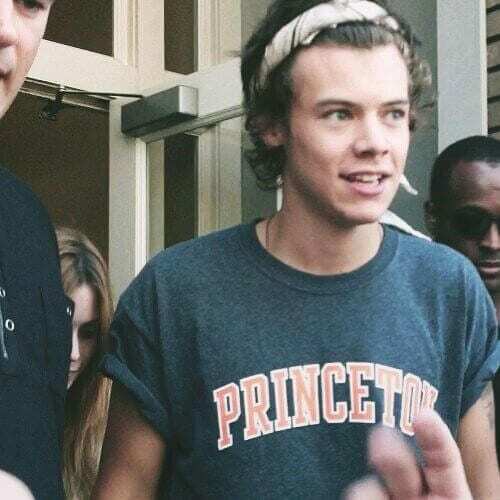 He used to wear rolled up bandanas or even snapbacks as well as T-shirts with American university logos on them. 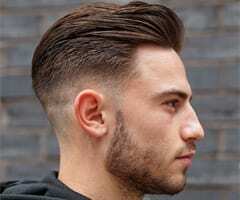 Here is another type of frat hairstyle that is just as popular. 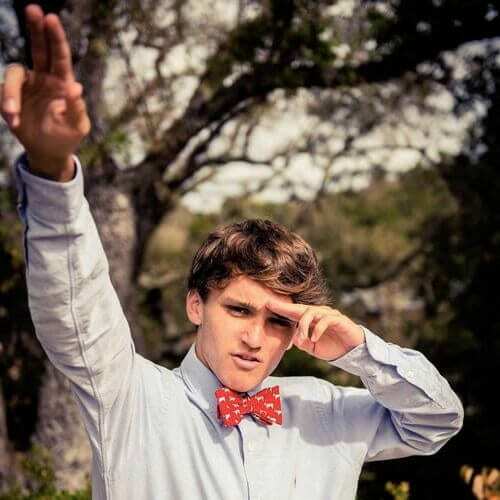 This is what college boys wear in the South complete with bow ties, pristine shirts, and colorful pants. You might know this type of character as portrayed by Andy from The Office. 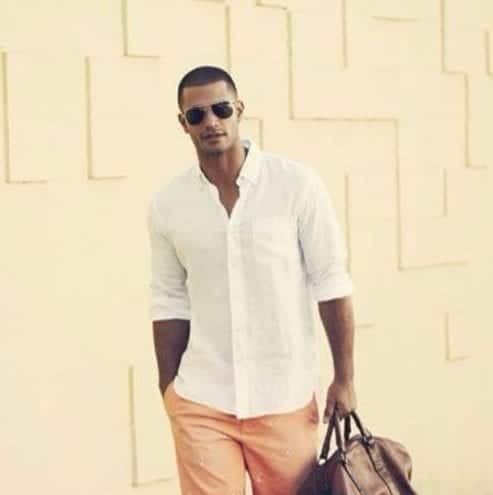 This shaggy and very laid-back haircut is accompanied by a Polo Oxford shirt that has been buttoned all the way up plus a pair of khaki shorts. In the world of frat houses and their cultures, clothes are almost a uniform. 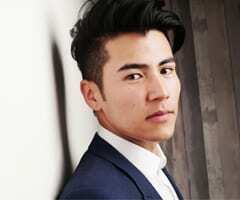 You can easily transform your medium-length frat haircut into a beach appropriate one if you just use the right hair care products and the correct accessories. This includes sunglasses, white T-shirts, and leather bracelets. We’re in love with this layered haircut and all its blonde highlights. And we’re prepared to bet that the ladies are going to love it as well. It’s the perfect haircut for fall when you can wear it with a knitted, woolen jumper. Ivy League haircuts have always been in a league of their own. Pun intended. The haircut was even named after this elitist group of schools, and now everyone knows what an Ivy League hairstyle really is. Here’s a beautiful shot of a college boy partying with his friends at their frat house. 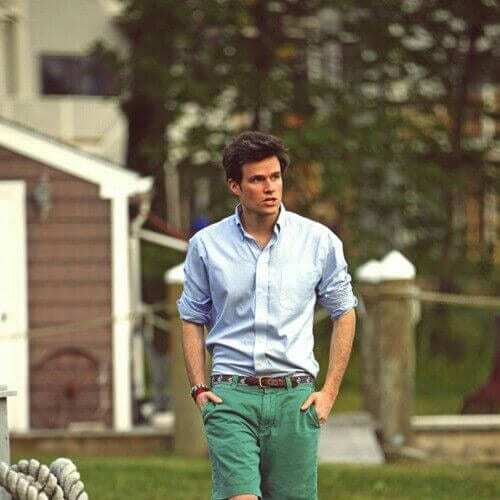 He’s wearing the proper attire of colorful short pants they wear in the South plus a sports coat, white shirt, and a shoulder length haircut. Here’s a piece of advice for all college boys. If you have curls, don’t cut them off. The curls get the girls. Always remember that. There’s just something about curly or wavy hair that simply makes girls melt away. 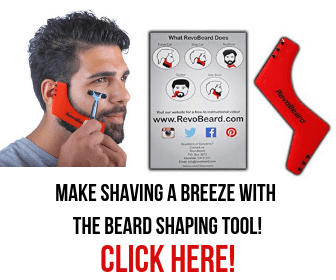 The buzz cut is undoubtedly a go-to haircut for frat boys. 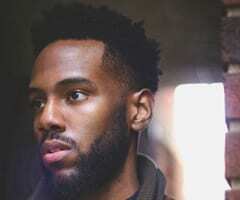 It’s a very simple and straightforward haircut that doesn’t require a lot of maintenance. Plus, it’s really versatile and super budget friendly. Here’s a haircut you can adopt if you have thick hair. It’s easy to style considering you will only need a bit of hair wax to arrange it every day and maybe some hairspray to keep your locks in place. 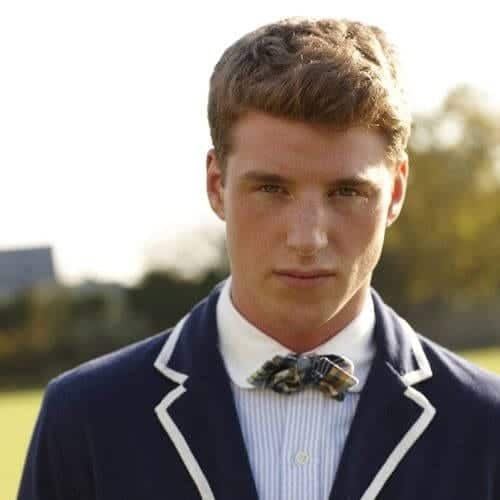 The house of Ralph Lauren has been providing inspiration and fashion collection for college boys for years. This is one of their models dressed in Rugby apparel with a gorgeous short and brushy haircut. 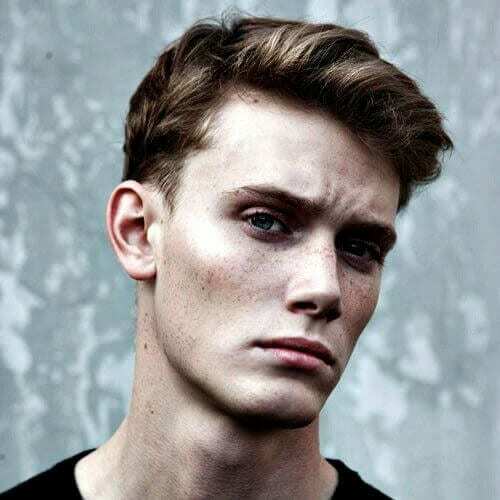 Wavy chestnut hair with auburn streaks in the sunlight, open collar shirts, and chiseled features. What more could you want? This is the golden trifecta of frat boys that are out to conquer the world in their early twenties. You can also go the other way and adopt a much more relaxed and shaggy style. It all depends on your personality and the frat you have entered. Find one that suits you best and stick with it. 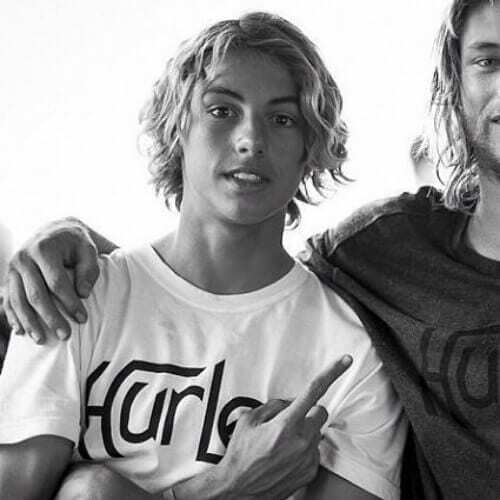 This is what happens when a surfer boy meets a frat boy. They merge into a glorious version of a summer child with long, blonde, curly hair, tanned skin, and white T-shirts. Don’t forget to learn how to surf! Here’s another staple look that you might have seen repeated more than once around every campus in America. 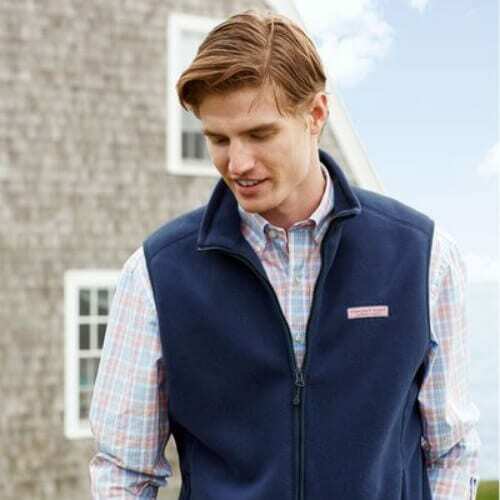 This is the typical look frat boys go for in autumn with a slick middle part and fleece vest to keep them warm. 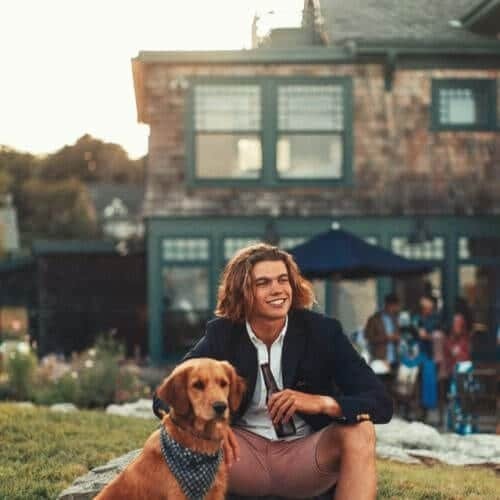 We have included on this list an actual retro photo of a frat boy so that you can see that the style hasn’t changed at all. They wear the same knitted, woolen jumpers, as well as white shirts and pants plus the beautifully cropped haircuts. This is the type of haircut that says you haven’t yet given up on your high school stage and that you are still a freshman in college. It’s what first years usually wear, but they give it up soon enough in favor of other styles. 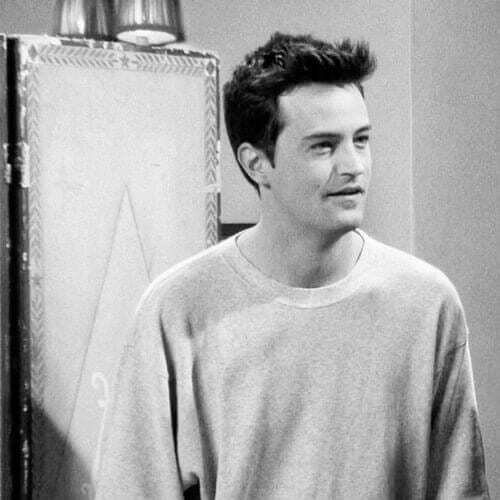 Here’s a young Matthew Perry depicting Chandler Bing on the early seasons of Friends. 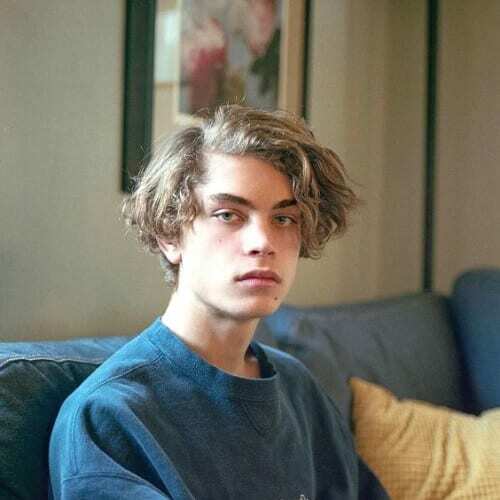 He used to wear sweatshirts and sweatpants as well as a very short haircut with some spikes in the front, typical for the early 90s. 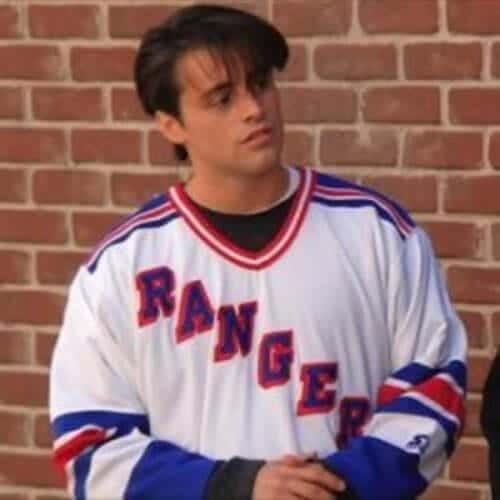 Even though he never went to college, Joey Triabianni of the same show was a major frat boy in character. He was a huge Knicks and Rangers fan and had that stylish teenage 90s heartthrob haircut all girls loved. Continuing on the above, here’s how the Chandler Bing looks like today, in 2018. If you look closely, you will notice that it’s exactly the same look he had at the beginning of the 90s with a sweatshirt and a similar short crop with spikes for bangs. 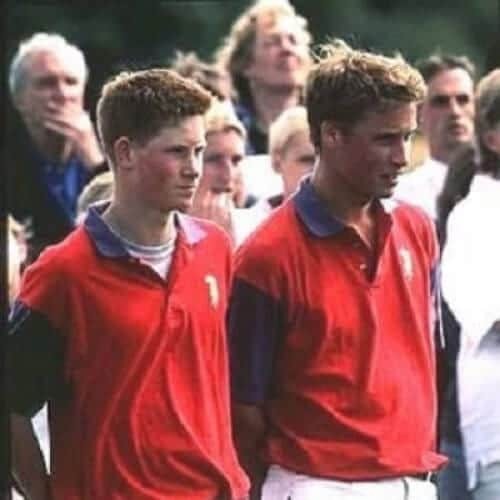 Although they were never typical frat boys as we consider them here in America, Princes Harry and William deserve to be included on this list because they embodied the spirit and look of a frat boy while they were both in school and college. 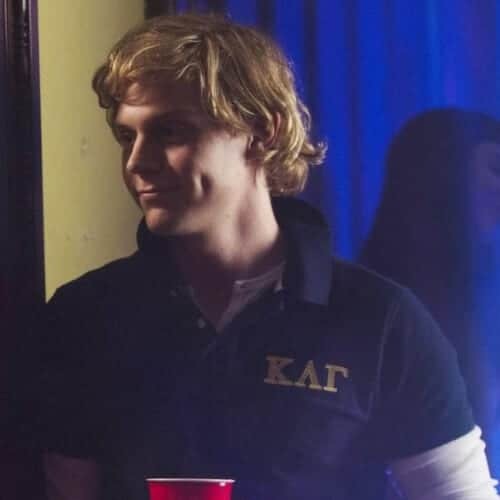 What could it be that makes frat boys so attractive to girls all around? You can say that it’s their hairstyle or the way they dress, but most of all it’s their confidence. So, however you style your hair or whatever you may wear, wear with confidence. Even though Tom Holland himself was educated in England at Eton, a refined private school for boys and his character Spider-man is merely in high school, he is still the mirror image of a frat boy with his toned physique, sculpted features, and sense of style. 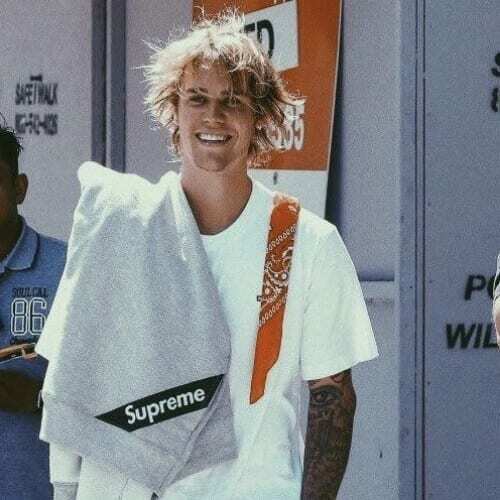 The Biebs has reinvented himself now that he has grown up to some extent. 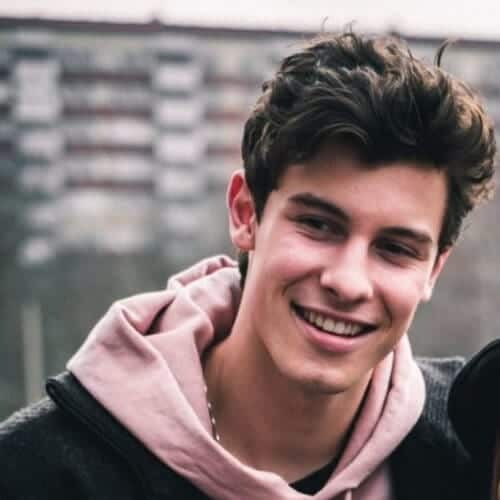 He has given up the polished teenage look he used to wear in favor of a much more casual and relaxed style that is highly reminiscent of a frat boy. Here’s a frat boy if we’ve ever seen one. 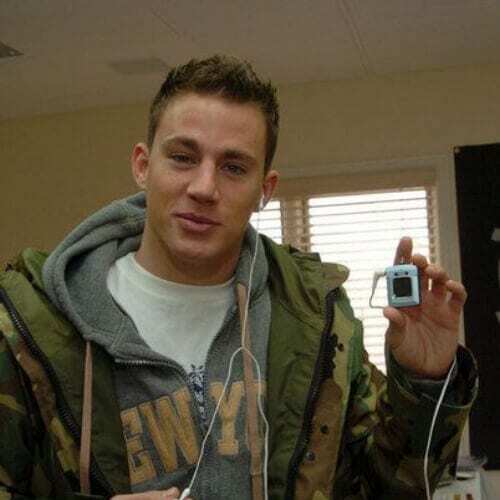 Actor Channing Tatum seems to have dedicated his life to being a frat boy who doesn’t want to leave his college years behind, at least if you take into account the way he dresses. 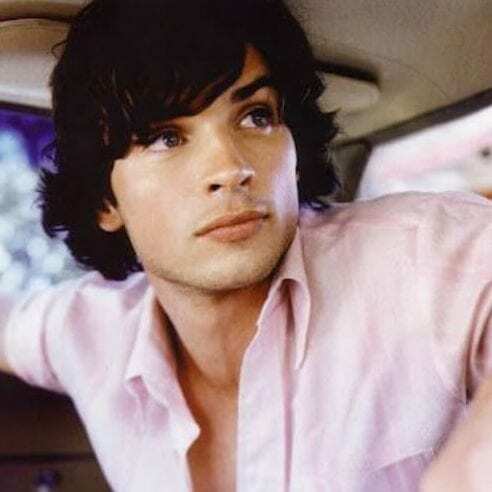 For our younger readers, Tom Welling was a major heartthrob of the 90s and 2000s, having played Superman in the hit TV series Smallville. 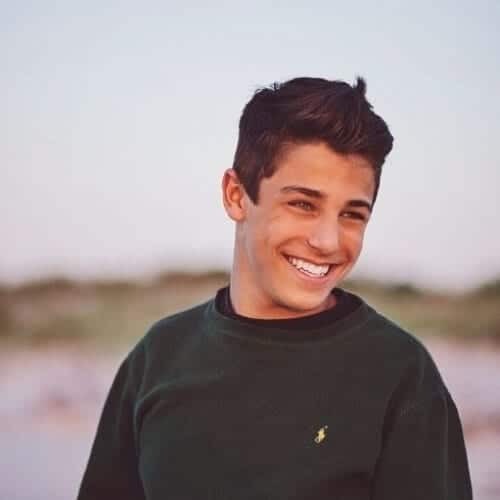 Think of him as the Tom Holland of that decade with great hair and a fantastic smile. 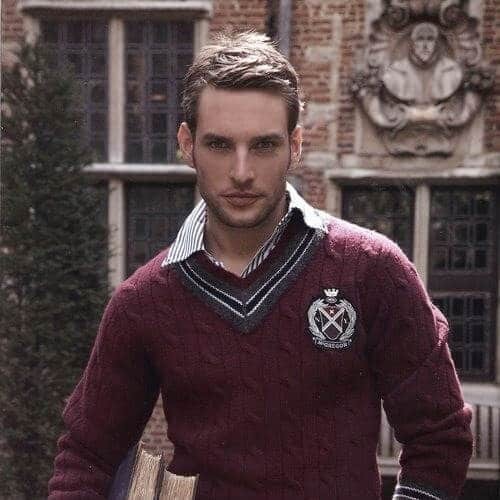 Frat boys wear so many woolen sweaters it makes you wonder if they hand them out when you apply for college. 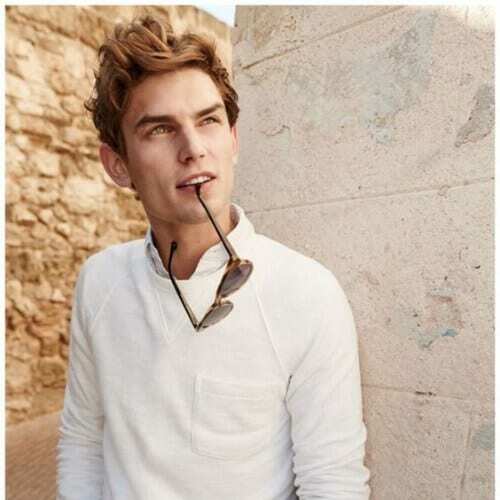 On a more serious note, the sweater is part of the familiar look of the frat boy we’ve grown so accustomed to. Another famous actor who is a frat boy by definition is actor Chris Evans. He loves this stereotypical look, and we think it’s perfectly fine because it suits him so well. Captain American can pull off anything! If you want to match your tie to your shirt, this is the smart way to do it. Choose a contrasting color for your tie as well as a lovely and elegant pattern that can make you look young, fresh, and vibrant. Not only does Zac Efron look like a frat boy, but he has also played one in several movies. 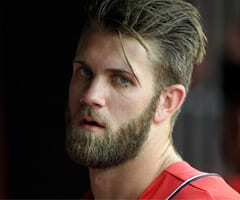 He just gives out that vibe that immediately tells you he’s off to buy a keg of beer and some pool noodles. This hairstyle will require a lot of gel so that you can achieve this wet look which says I just jumped out of the shower and look how cool I am. It’s a medium length haircut with a side part and a comb over. There’s no shortage of finely carved features, square jawlines, and luscious hair when you’re in your early twenties and in a frat. Add some freckles and a pair of emerald green eyes to all that and you’re on your way to superstardom. 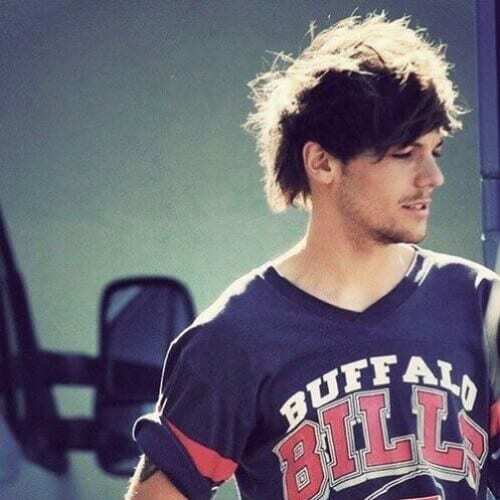 This former One Direction member is no stranger to tracksuits and sports clothing. He loves a shaggy haircut as well and has a huge number of tattoos which make him look like one of the coolest frat boys on our list. As you might have noticed from our extensive list, despite the well-spread stereotype, there isn’t just one type of frat haircuts out there. Your inspiration can come from many places, be it former alumni, celebrities or your fellow frat house members. Let us know in the comment section below which one of these ideas was your favorite!